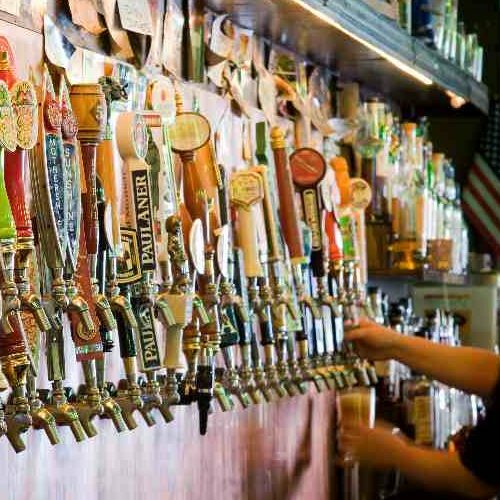 Falling Rock Tap House features a large outside street level patio – perfect for a beer before or after a game. Inside the upper level, there is roomy seating at the bar, booths or tables. Our lower level has more seating around the pool tables and dart boards.